Visa, a global payments technology company, on Monday said it had opened its regional headquarters for Western and Central Africa in Abidjan, Cote D’Ivoire. According to the company, Visa employees will work with local governments, financial institutions and merchants to bring the benefits of electronic payments, and introduce new payment technologies such as mVisa to more people in Cote D’Ivoire and the wider Western and Central Africa cluster. “mVisa is also going to be launched in Lagos, Nigeria later this year,” it said in a statement. 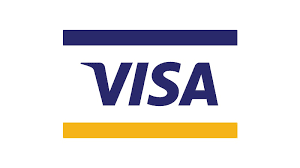 It also said, “While Visa’s network, VisaNet and associated products are already available across the region, this is the first time that Visa has invested in a full-time presence and expertise on the ground; and it is the first global payment network to do so. “Visa is investing in placing resources in market in order to make its global payments expertise available to the region’s governments, financial institutions and merchants. The Minister of Planning and Development of Cote D’Ivoire, Mrs. Kaba Nialé, while commenting on investment, said, “We welcome the opening of Visa’s regional office in Abidjan. The Minister of Finance and Economy, Cote D’Ivoire, Mr. Adama Koné, said, “The opening of a Visa office in Abidjan is a positive signal to Cote D’Ivoire, and the region as a whole. Visa’s Country Manager for the region, Ismahill Diaby, said, “By investing in a physical presence in Cote D’Ivoire, we are working to fulfil Visa’s brand promise to be the best way to pay and be paid, for everyone, everywhere.